The collaboration of the year is upon us and it is only February 6th. 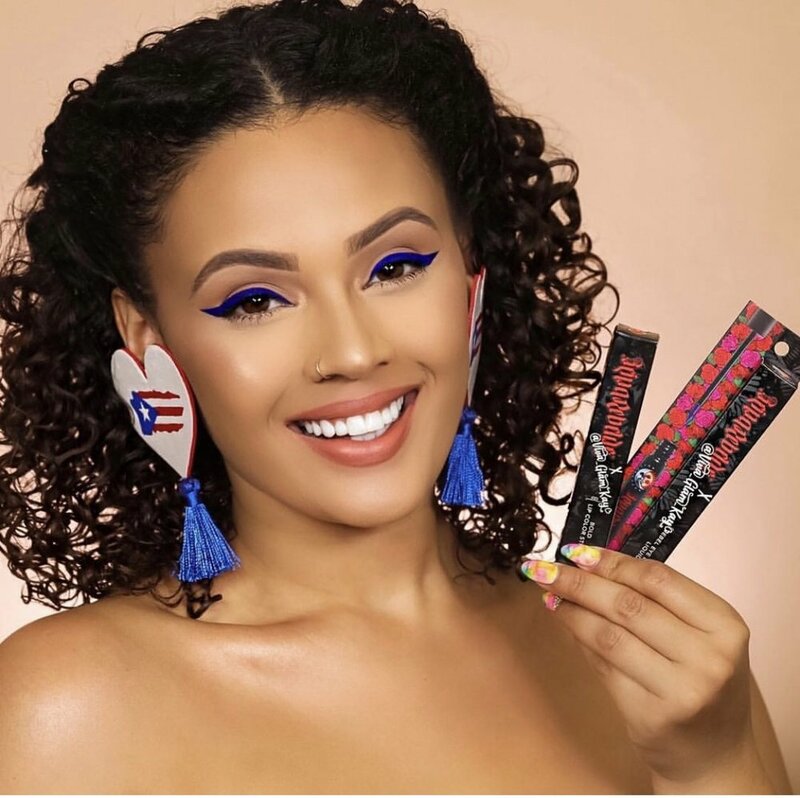 Just a few days ago Kay-Lani Martinez & Regina Merson took the beauty industry by storm when they launched an exclusive product collaboration. Kay-Lani, also known as @viva_glam_kay is a social media beauty content creator who captivates her fans with her makeup looks, along with skincare and hair tips. Her talent is unmatched. Regina is the founder of Reina Rebelde, the first makeup line for Latinas. The brand exemplifies the beauty and uniqueness seen in our Latinas around the globe. Reina Rebelde offers something for everyone, whether you want to enhance your natural beauty or make a dramatic statement; you can be a Reina or you can be Rebelde. The choice is yours! Kay-Lani & Regina are prime examples of women who embody cultural duality. They are proud to be Latinas and also proud to be American. Kay-Lani is of Puerto Rican decent, raised in Brooklyn, New York and currently calls Florida her home. Regina was born in Guadalajara, Mexico and was raised in Dallas, Texas. Much can be said about Regina putting aside her career as a bankruptcy lawyer to pursue her love for cosmetics and her love for her culture when she launched Reina Rebelde in 2016. With Kay-Lani’s experience and passion for makeup and having one of the most dedicated fanbases on Instagram, this is a match made in Reina heaven. Because of the passion that these two women bring to the table, it is no wonder that their product collaboration was received with open arms and cheers heard for miles. 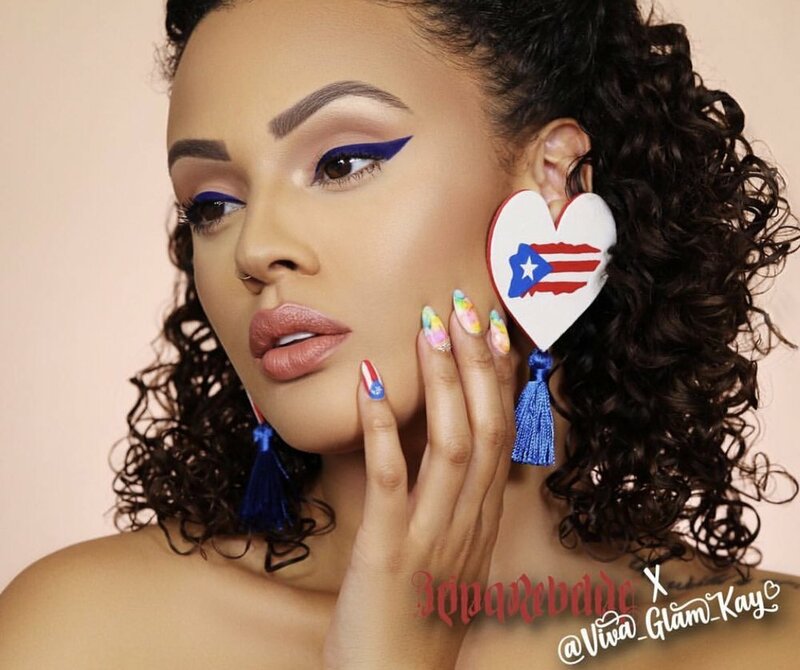 The #VivaGlamKayxReinaRebelde collaboration spotlights and celebrates Puerto Rican culture. The two products born out of this union are Rebel Eye Definer Liquid in Bonita Bandera and Bold Lip Color Stick in Alma Desnuda. A portion of the proceeds are going to the Hispanic Federation’s UNIDOS Disaster Relief & Recovery Program to Support Puerto Rico. Beauty, brains, passion, quality cosmetics, and being accepted as you are is what this beautiful joint effort is all about. Whether you are Latina or not there is something for you, something that you can identify with. These women are girl power and sazón wrapped in one and we are all here to embrace them and this movement that they courageously have catapulted into our hearts & souls. We love you and we are extremely proud of you! Check out www.reinarebelde.com for more information about this exclusive collaboration and to see the bundles available. For a limited time, you can purchase the exclusive product marketing mailer which includes nine Reina Rebelde products and an autograph card from Kay-Lani.